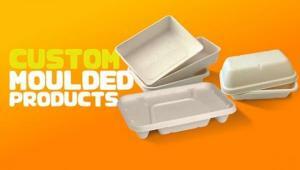 When it comes to disposing of single-use foodservice ware, there’s a lot of confusion surrounding whether something can actually be recycled or composted, and what “biodegradable” really means. BioPak founder and sustainability director, Richard Fine, has set out to debunk five of these myths and misconceptions about bioplastics. Wrong. A bioplastic is a substance made from organic biomass sources. Unlike conventional plastics – which are made from finite fossil resources (oil and gas) – bioplastics are made from a number of renewable resources such as plant oils, cellulose, starches, sugars, carbohydrates, bacteria and algae. But, not all bioplastics are biodegradable. 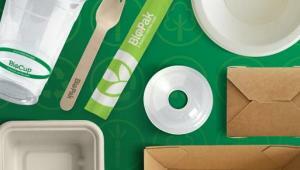 The bioplastic we use in BioPak packaging is certified compostable. This means it will completely biodegrade in a compost environment within a defined timeframe and leave behind no toxic residues. 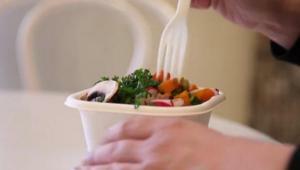 Plastics with a ‘degradable’ additive are not compostable. Marketing campaigns would have us believe that plastic products labelled as ‘degradable’, ‘biodegradable’ or even ‘landfill degradable’ are better for the environment – an extremely misleading claim (aka: greenwashing). Independently verified scientific evidence conclusive proof that the product will completely biodegrade is lacking. Often there is no defined timeframe for decomposition, and any remaining fragments that do not completely biodegrade could be ingested by micro-organisms and eventually make their way up the food chain. 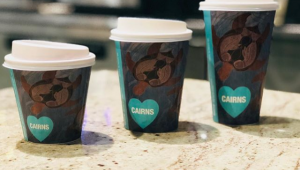 Biodegradable additives do not address the problem of using fossil resources for single-use packaging and are certainly not a solution for littering. All they do is offer consumers and brand owners a false sense of sustainability and care for the environment. 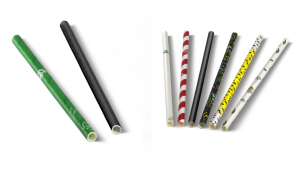 Bioplastics do not decrease the quality of the compost created, and bioplastics that are certified commercially compostable do not contaminate compost waste streams. 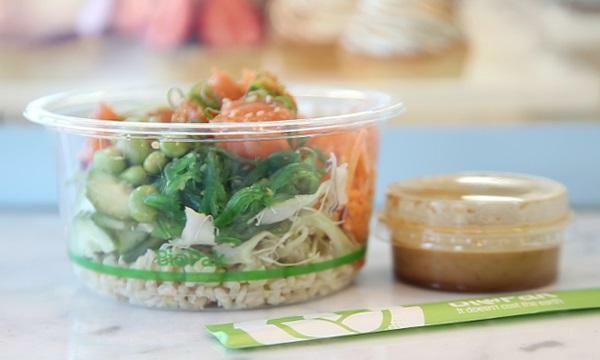 All BioPak compostable packaging has been certified to EN13432 or AS4736. These products are independently and completely tested (inks, glues etc.) and approved for acceptance in suitable commercial compost facilities. Certification gives the composters the confidence that the organic waste they’re accepting will not contaminate their process. While we wholeheartedly support reusables as a solution to single-use plastic consumption, we also recognize it’s not always convenient or practical to always have your own reusables. 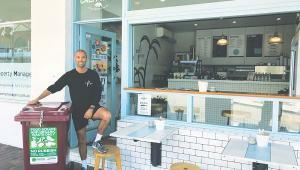 It’s in these situations that compostable single-use food service disposables are the best solution – providing a safe, hygienic and cost-effective way to serve food and beverages to large numbers of people. 5. 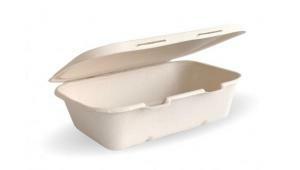 There's no point creating compostable packaging when commercial composting infrastructure isn't widely available yet. Ah, the classic ‘chicken and egg’ situation. Thing is, waste management industries are the end of the line in our linear consumption economy. Innovation happens at the beginning of the product life-cycle and flows down the line to the waste management industries. When PET bottles were first introduced they were not recycled and the same can be said for aluminium and metal cans. Only when sufficient demand for a raw material exists does recycling make commercial sense. We have to lead by example and be the change we want to see in the world. That’s why we’ve launched the BioPak Compost Service – working with commercial composting facilities in Australia and New Zealand to make commercial composting infrastructure for organics and compostable packaging more readily available. Together with our partners, we are proving the composting infrastructure model as a case study for local councils and waste collection contractors to adopt and make part of the journey towards zero waste. There is no planet B. That’s why it’s our mission to produce the most sustainable, environmentally friendly packaging on the market. 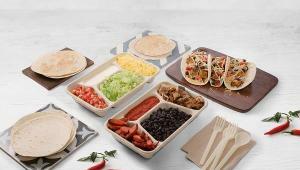 We champion compostable packaging and we’re focussed on reducing tree-based paper and fossil fuel-based plastic used in foodservice ware by offering an eco-friendly alternative.